Bring status to your event with the attendance of a dignitary. 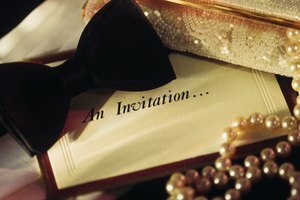 Let the important person that you plan to invite to your event know what an honor his presence would be with a formal invitation letter. Compose your letter to the dignitary with thoughtfulness and sophistication. Keep it short and sweet and follow a basic, formal letter writing structure to ensure the invitation’s organization is in accordance with recognized customs. In the final letter, your strong desire to have the invitee in attendance will shine through. Begin with the date at the top, left-hand side of the page. Add the invitee's name and address below the date. Begin the name with the person’s formal title, such as Mr., Mrs., Ms. or Dr.
Start the letter with a formal salutation, such as Dear Mr. Jones. Center the name of the event in bolder or larger font after the salutation and before the body of the letter begins, as a heading. Open the letter stating your desire for the invitee to attend the event. 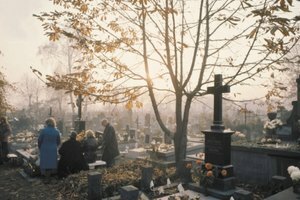 Start with the name or title of the person or group who is extending the invitation followed by a formal phrase extending the invitation, such as "request the honor of your presence." Follow the invitation extending phrase with "at" and the full name of the event. Add one sentence that sums up why the invitee's attendance is important to you. Follow the opening with a paragraph outlining the details of the event, including the location and time. Avoid time abbreviations such as "AM" or "PM" and instead write out "in the morning," or "in the evening." Let the invitee know where she can park or if you can offer any travel assistance. Describe in one or two short paragraphs the purpose of and what will be happening at the event. Describe what, if any, expectations you have of the invitee for participation in the event while he is in attendance. Include RSVP information in the next paragraph. 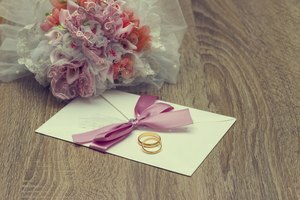 Let the recipient know the name of the RSVP contact and by when you would like to know. A phone number or email address will suffice for the contact, or you can include a more traditional RSVP return card with a self-addressed, stamped envelope. End the letter by iterating that you look forward to seeing the invitee at the event. 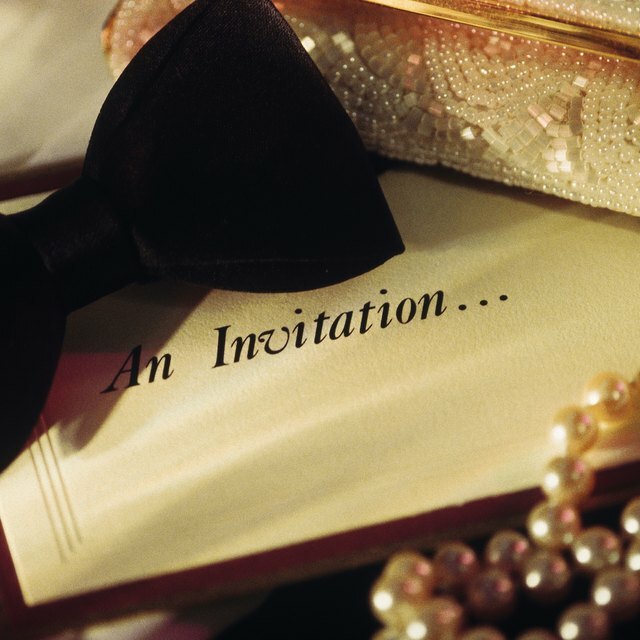 Close the invitation with a formal closing phrase, such as “Sincerely,” followed by your name and title. 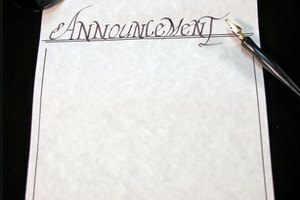 Include enough space between the two to sign the letter. Print the invitation on quality paper with official letterhead or in a card customized for the event. Include a map, if necessary. Mail the invitation in a matching envelope with printed addresses. Howard, Mason. "How to Write an Invitation to a Dignitary." Synonym, https://classroom.synonym.com/how-to-write-an-invitation-to-a-dignitary-12084342.html. 29 September 2017.